The White House has made it increasingly clear that its second-term agenda will be based on the misguided notion that we can tax and spend our way to prosperity. This week, President Obama once again asked Congress to raise the debt ceiling with no corresponding spending cuts – essentially writing a blank check that will allow an unrestricted spending spree. House Republicans know that the first step to making serious reductions to government spending is through Congress fulfilling its most basic duty: passing a budget. Unfortunately, the Democrat-led Senate has neglected this legislative requirement for the past three years. The blatant lack of leadership only exacerbates the problems currently facing our nation – out-of-control spending, record-high deficits and skyrocketing debt. This week, House Republicans will lead the fight against Washington’s reckless spending by bringing a bill to the floor that holds the Senate accountable. 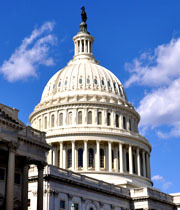 The legislation will require the House and Senate to pass a budget or not be paid. Our objective is simple: no budget, no pay.